Can we take a minute to talk about the fact that my little man is ALREADY ONE?!!?!?!?!?!!?!?!?!?!?!?!?!?! I mean…he turned one awhile ago, actually. I’m finally getting around to posting this. So…my little man – N – boy oh boy. That kid has my heart and has me wrapped around his little finger with his smile, his dimples, his charm and his energy. The kid never stops moving. He’s all boy and has had a million bumps and bruises already. His sister loves him like crazy and he feels the same way about her. I love to watch them play together and I’m so, so, so blessed and so happy with my little family. Even if we can’t get a decent photo of the four of us for anything. That one up there was the best out of 4 or 5. Eek. As a side note, the dress I’m wearing is from Stitch Fix. I didn’t write about this past month’s fix but this dress was the only thing I kept. You can read about my other “fixes” here, here and here. 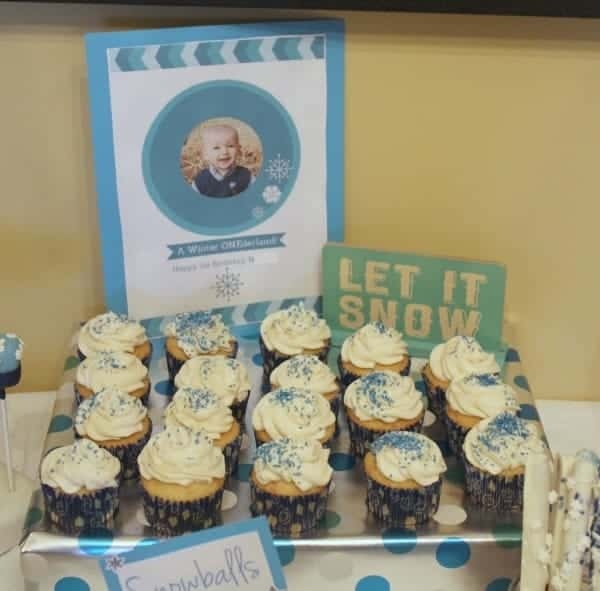 We threw his birthday party 4 days before Christmas which is really crazy and not something I would really recommend but it was important to me to have a celebration for him that wasn’t rolled into a Christmas party. I went with a “Winter ONEderland” theme (see what I did there?) which was actually an idea that my friend had given me. I really wanted to avoid anything Christmasy (red, green, candy canes, etc.) and focus on winter blues and whites and snowflakes everywhere. Also, let me start by saying I’m almost embarrassed to post these photos. They aren’t as great as they could be. They aren’t magazine quality. But I don’t care. I was rushing through them so that I could spend more time enjoying the moment. The table set up above isn’t even really quite complete but ehh…whatever. For the lemonade, I froze blueberries in ice cubes to go with the blue theme and to fancy it up a bit. 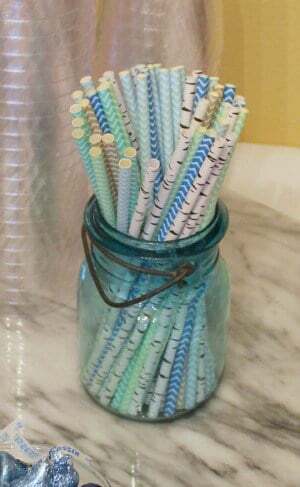 Of course, I also had fancy paper straws because I’m obsessed with them. 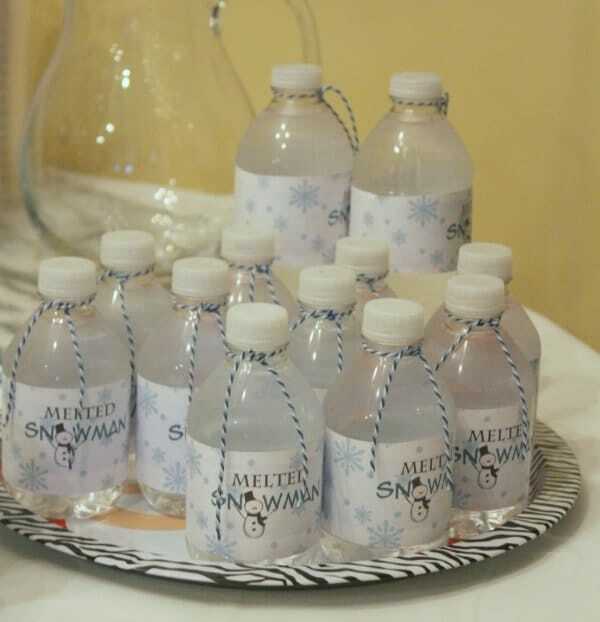 Water Bottles aka “Melted Snowmen” — I used this free printable to print off these labels. Print, cut, tape. Easy! Then I tied some baker’s twine around the neck of the bottle. Because I’m also obsessed with baker’s twine. Cupcakes and a smash cake for little man — they don’t have made up names because cake is cake. I just made white cake and a vanilla buttercream frosting. I wrapped an empty box to elevate them on the table a little. 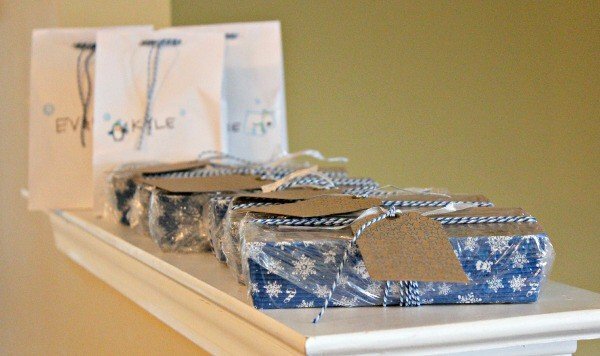 For favors, I filled white gift bags with all sorts of winter themed goodies for the kids. Stickers, drawing pads, and even a Christmas ornament that they could decorate and hang on their tree. For the adults, I baked up some of my healthy banana bread (I added mini chocolate chips though!) 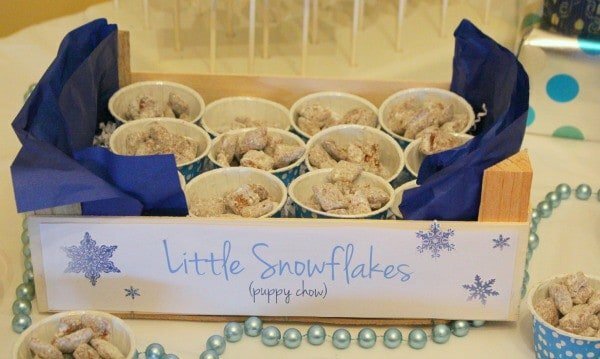 in paper loaf pans decorated with snowflakes. 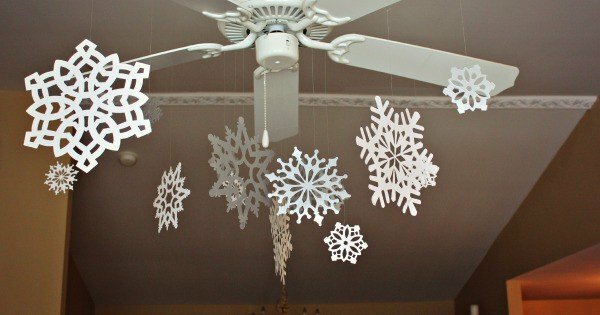 In terms of decorations, I’d say the dessert/beverage table was the main “decoration.” I also had paper snowflakes hanging from the ceiling fan and lights. The photos don’t do it justice but it was pretty. 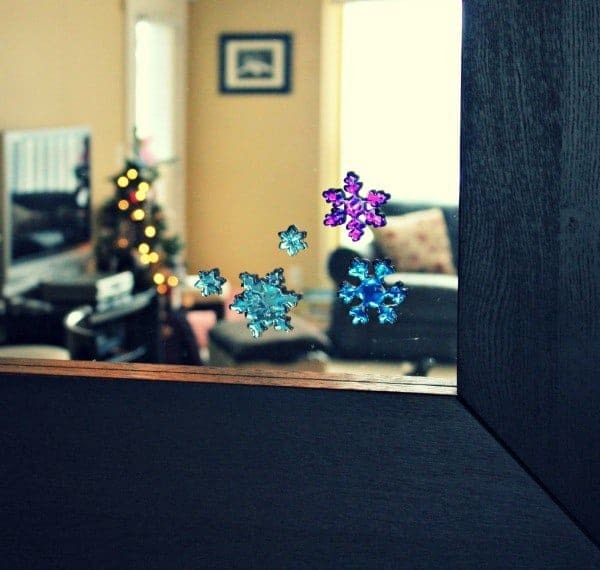 They are actually still hanging up and I might just hang them up every winter. N loved his cake! 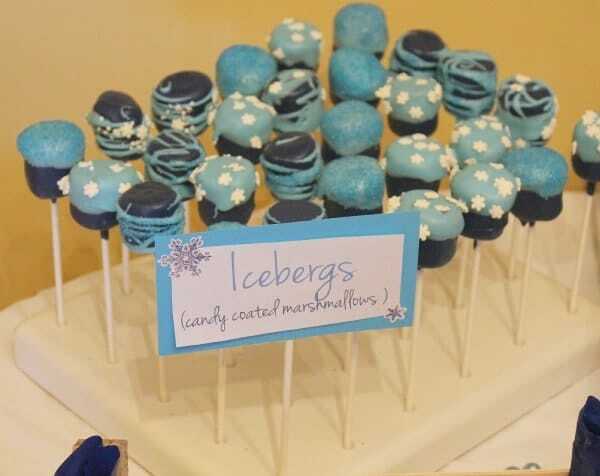 (It’s no IGLOO cake but hey…you win some and you lose some.) At first he thought it was just a toy and kept sticking his fingers in it. E kept shouting, “Eat this, N!” Once I moved his finger to his mouth, he got the idea and there was no stopping him. So that’s that! 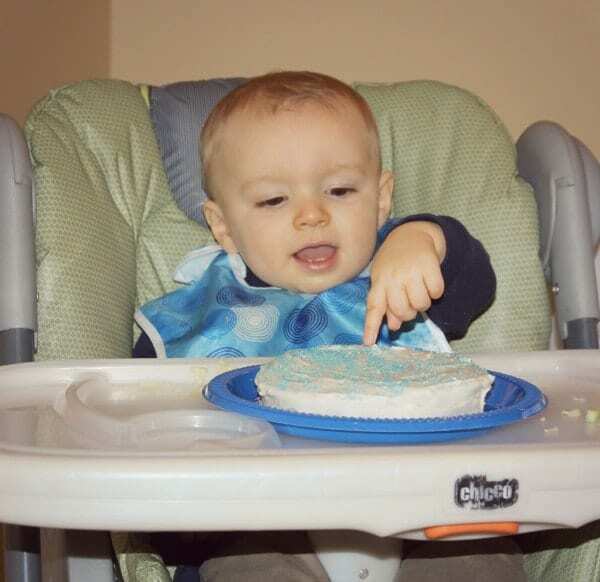 Little man is ONE. Now excuse me while I go cry in the corner. Someone work on freezing time for me, k? 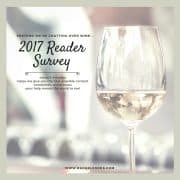 If you want to pin this party, feel free to use the image below. It’s all my crappy photos rolled into one crappy collage. What more could you want in life? What a fun party. 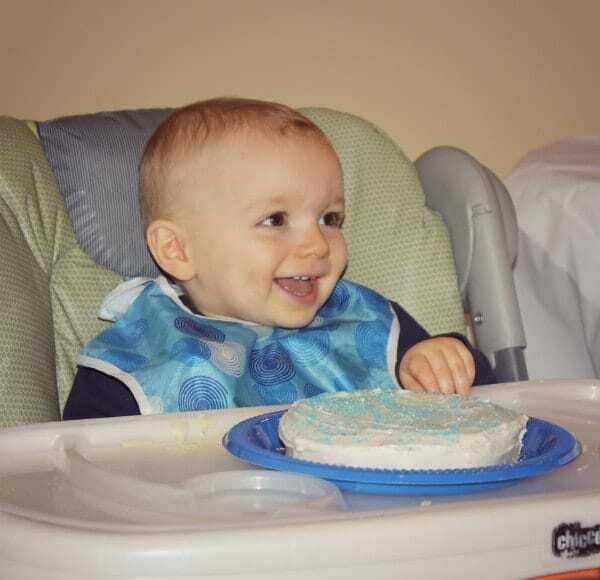 I love how happy he looks with his very own cake (I’d be equally as happy…)! Love it! He’s such a cutie, Happy Birthday! I feel like bloggers always preach that people shouldn’t compare themselves with others. I feel like you compared yourself with Fabtastic Eats and her party. You did a great job with the party. I just wish the post had a better attitude about it. Seems like mothers are always trying to one up each other, especially for 1st bday parties. I am not a parent but it sure does scare me for the future. 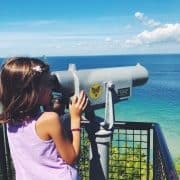 Is motherhood really so much about comparing yourself and one upping others? You did an awesome job on the party! Hope you can see that. 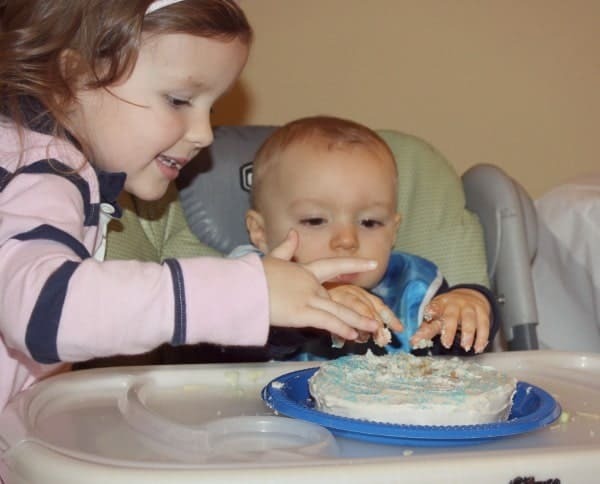 Your son is never going to remember how fancy the cake was at his 1st bday party or future parties. He will remember the love he felt. I agree — we always say we shouldn’t compare ourselves to other but I think we’re preaching to ourselves as much as we’re preaching to others! Ha! But in all seriousness, I’m sorry the post came off that way. It’s truly partially due to my dry/sarcastic sense of humor – I was more laughing at myself more than being hard on myself. Seriously! Alaina of Fabtastic Eats is one of my best blogging buds (becoming real life friend hopefully soon!) and it was a total coincidence that we threw parties with the same theme. I loved reading about hers and was seriously impressed with her igloo cake but I’m very happy with how my party turned out and like I said in the post, I know my photos aren’t the greatest but it truly is because I didn’t spend a lot of time on them. I was busy spending time with my family and friends (and most importantly watching my little man enjoy his party!) and I wouldn’t change that for the world. 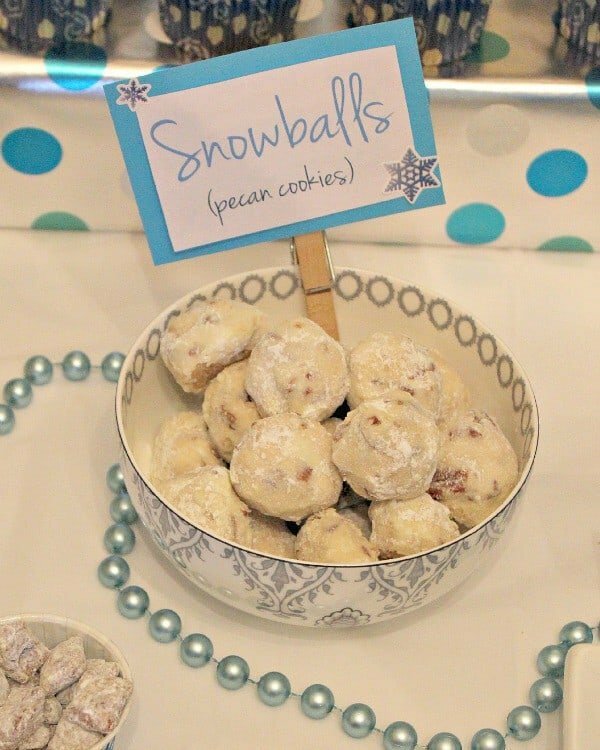 What a great theme for a December birthday party! Love it! You are so creative! So precious! I adore that family photo up top. You look gorgeous and your family looks so adorable! omgosh so cuuute-my heart melts!! Love this party too! This is just about the cutest party ever! 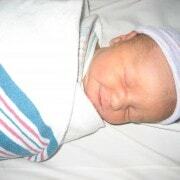 I can’t believe he is already 1! Thank you! I love the Cake Boss idea! Sounds so fun! oh my gosh! This is so fantastic! 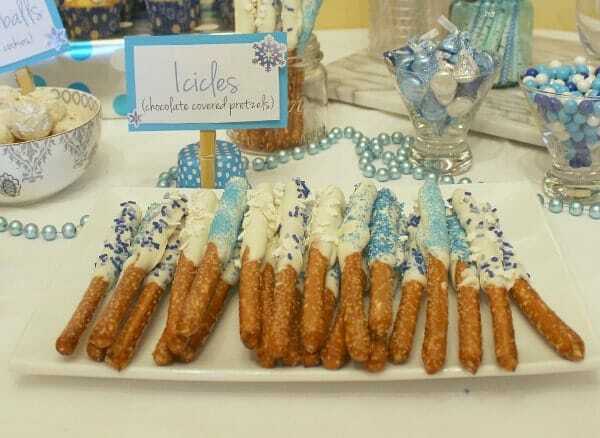 I love love loooove that you “named” all your desserts with winter themes! Its all so perfect and beautiful!! You’re sooo creative! I love the banana bread loaves for adults, you thought of everything! Seriously, I love the whole thing so much! So beautiful! Love love love this theme!! You are so cute and crafty- love the melted snowmen!! Can you come decorate for Jacob’s party?? PS that igloo cake was off the charts. What a gorgeous family! This party is so special Rachel. I don’t know how you found time to do it, but every touch is just perfect. Happy (belated) Birthday N!! Such a clever theme – and he is ridiculously cute! What?! A theme is so helpful for planning :) Plus it’s fun. What a fun party. You get to plan one around Christmas each year and I get to deal with Thanksgiving. I don’t think we planned this very well. Love, love, love the theme and the cute family. 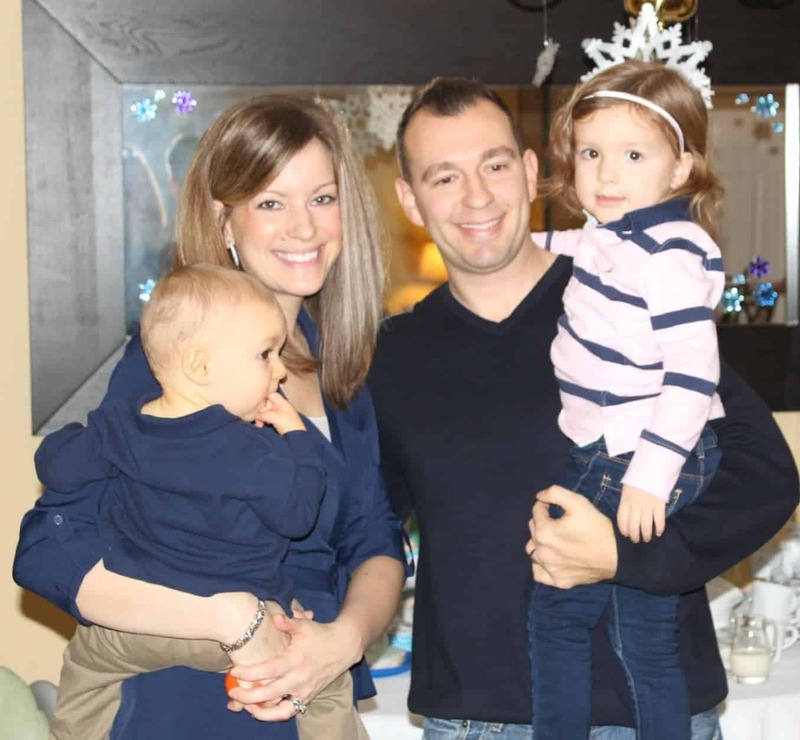 What an adorable party theme….not to mention an adorable family! I cannot believe he is ONE! Time flies! Thanks! Fastest year of my life. You did a great job with your theme. Your pictures are great too! Happy Birthday to your little ONE-der! I recognize the stampin’ up snowflake stamps–I have that set–and, is that a princess house pitcher, if so, I have that, too!